Also to be seized by the Nigerian government are funds held in bank accounts without sufficient know-your-customer credentials, court documents seen by PREMIUM TIMES said. Industry experts expressed strong reservations about a lack of specific legal framework for the unprecedented forfeitures and potential coercion of banks by the federal authorities in separate interviews with PREMIUM TIMES Saturday. No estimates were immediately available, but it is widely held that billions of naira remained trapped in the unlinked bank accounts since 2015 when the Central Bank of Nigeria ordered commercial banks to stop attending to new enrollees. Nnamdi Dimgba, the Federal High Court judge who presided over the ex-parte motion, granted all the nine reliefs sought by Mr. Malami —himself represented by a lawyer, Usman Dakas— on October 17. Others are: Guarantee Trust Bank, Heritage Bank, Keystone Bank, Skye Bank, Stanbic IBTC Bank, Standard Chartered Bank, Sterling Bank, Union Bank and United Bank for Africa. Registration for BVNs commenced on February 14, 2014, across the country. 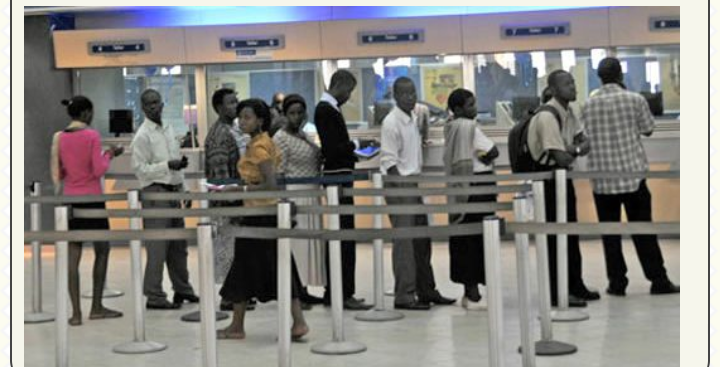 The CBN said over 20.8 million customers enrolled 40 million bank accounts before the October 31, 2015, final deadline for customers residing within the country. The CBN extended the deadline for Nigerians in the diaspora to December 2016 to sign up for the BVN system. But hundreds of thousands home and abroad are still believed to be left behind. Lawyers weigh in Two legal practitioners interviewed by PREMIUM TIMES Saturday held slightly disparate views on the matter.